Nashville, TN – The Tennessee Highway Patrol cautions motorists to watch out for deer on or near the roadways this fall season. An increase in deer-related crashes is likely during the months of October through December due to deer mating and hunting season. Nashville, TN – The Tennessee Highway Patrol (THP) urges motorists to exercise caution on the roadways this time of year. Autumn means, football, fall foliage, pumpkin pies, and the start of deer mating and hunting season. Last year in Tennessee, one person was killed in a traffic crash involving deer. Murfreesboro, TN – Kentucky drivers are about five percent less likely to collide with a deer than they were last year, according to new claims data from State Farm. The odds drivers will hit a deer in Kentucky are 1 out of 113, above the national odds of 1 in 169. 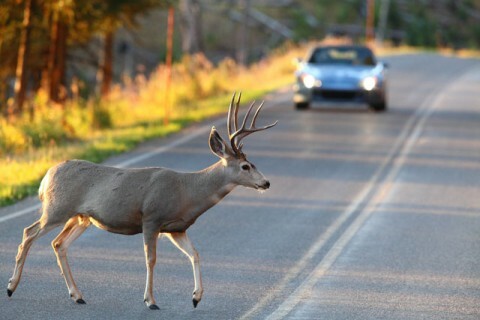 Meanwhile, Tennessee drivers are about four percent less likely to collide with a deer than they were last year, according to new claims data from State Farm. The odds drivers will hit a deer in Tennessee are 1 out of 170, just below the national odds of 1 in 169. Nashville, TN – Tennessee Highway Patrol (THP) Colonel Tracy Trott today announced that three people were killed in crashes involving deer in 2012. Colonel Trott cautions motorists to be watchful of deer during the fall and winter seasons, as an increase in deer-related crashes are likely during the months of October through December. 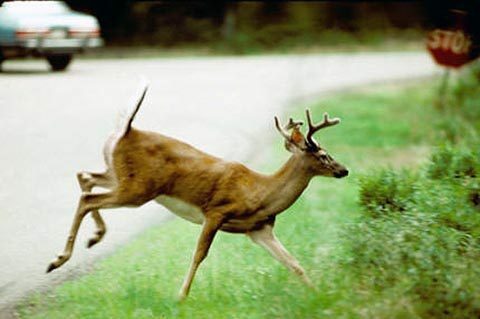 In Tennessee, there were 5,911 deer-related crashes in 2012. That’s an increase of 4.2 percent from the 5,670 crashes involving deer the previous year. Of the 2012 figure, 5,601 were property damage, 307 were wrecks with injury, and three resulted in fatalities.